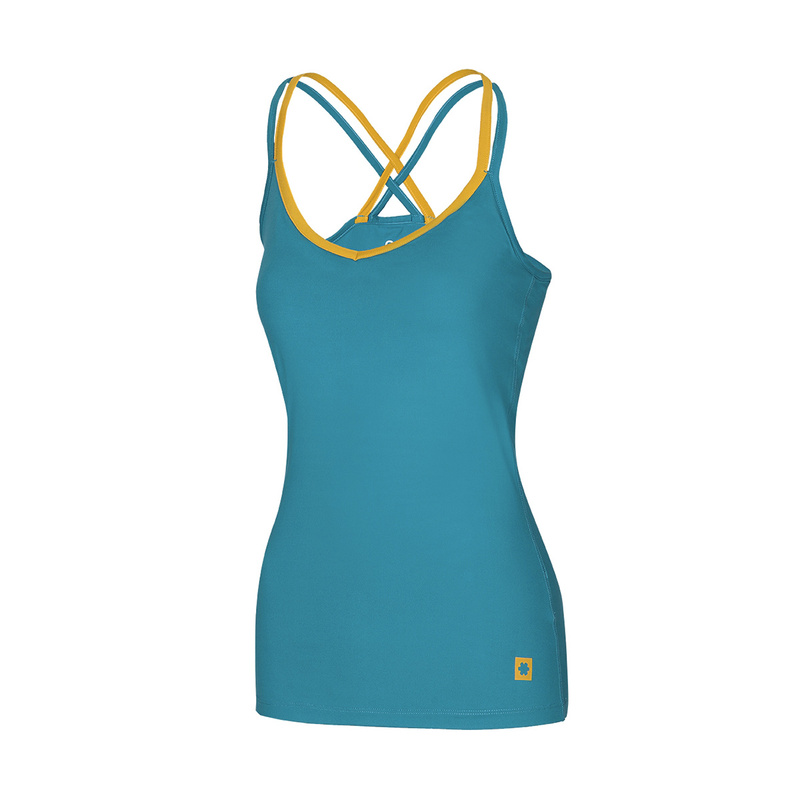 Stylish and practical, the Ocun Corona Top is great for women who want an all-round training top that looks great, too. Made from lightweight, breathable fabric that wicks away water quickly, it’s ideal for climbing, training and everything in between. It also features a handy, low profile inbuilt bra. -	Breathable material quickly wicks away sweat.